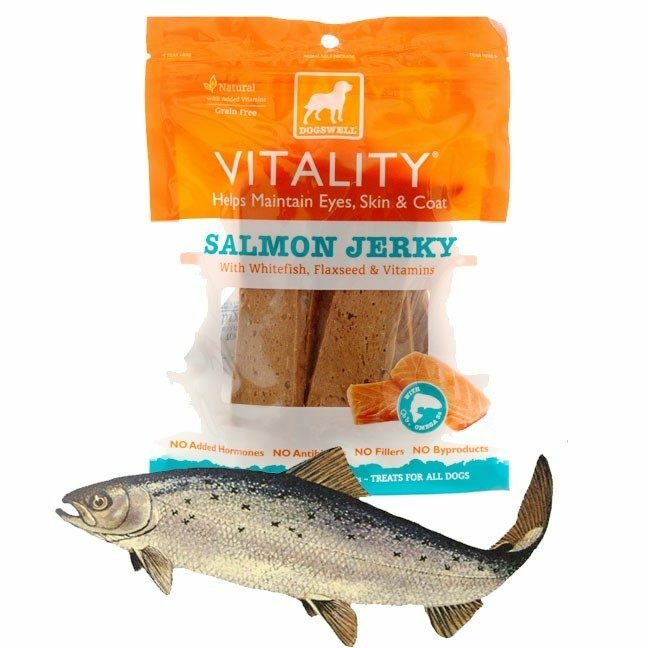 2 Bags of Dogswell Vitality Salmon Jerky Dog Treats Only $7.99 Plus FREE Shipping! You are here: Home / Great Deals / 2 Bags of Dogswell Vitality Salmon Jerky Dog Treats Only $7.99 Plus FREE Shipping! The Vitality variety of treats are fortified with Flaxseed and Vitamins to help your dog have healthy eyes, skin, and a beautiful coat. Keep your dog in top shape with 2 Bags of Dogswell Vitality Salmon Jerky Dog Treats Only $7.99 Plus FREE Shipping!